After installing Google Earth on your computer, "right click" the link below and "Save Target as:"
You will down load a kmz file (Google Earth File) of routes and waypoints to be used in Google Earth. Double click on it and open it in Google Earth in your "Temporary Place". Drag it up into your "My Places", then turn off and on as you wish to see the different routes listed by folder. *Tip! As you open the side bar in Google Earth, turn on only those item you want to look at. The more you turn on the slower Google Earth will work since it has to down load everything that is on. I have entered the routes and waypoints from Jacksonville and the St Johns River, down the East Coast of Florida and the Keys, as well as the Lower West Coast of Florida and the Okeechobee Waterway. Also included are bridge names, heights and locations along the Intracoastal waterway. 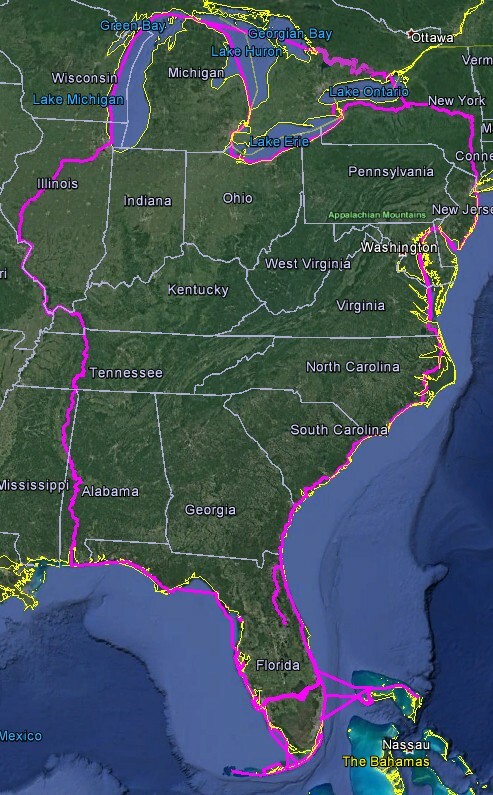 In addition to the Florida routes I have cruised I added the entire Great Loop, including the Erie Canal with Locks, the Trent-Severn Waterway with locks, the Chicago River and the Tennessee River & Tennessee-Tombigbee Waterway down to Mobile, Alabama. I have also left in the EarthNC, Google Earth marks, charts and waypoints to help in planning. The company EarthNC, is now closed but have continued to leave the product on line for those to help navigate with. 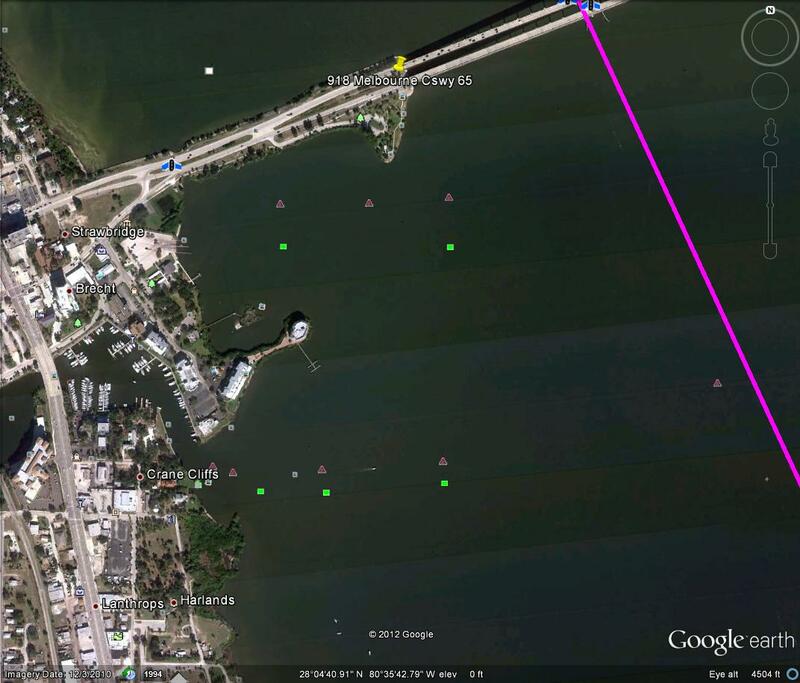 Why Google Earth for our cruise planning? Google Earth gives us a new level to our planning. GH is not designed to help with navigation, but it will help with the areas you plan to stop off at. Use the Street View to see what is around the areas you with to stop at. You can also turn on Restaurants, Pharmacies, Hospitals and more and the items will pop upon the screen where you are at with telephone numbers and addresses. 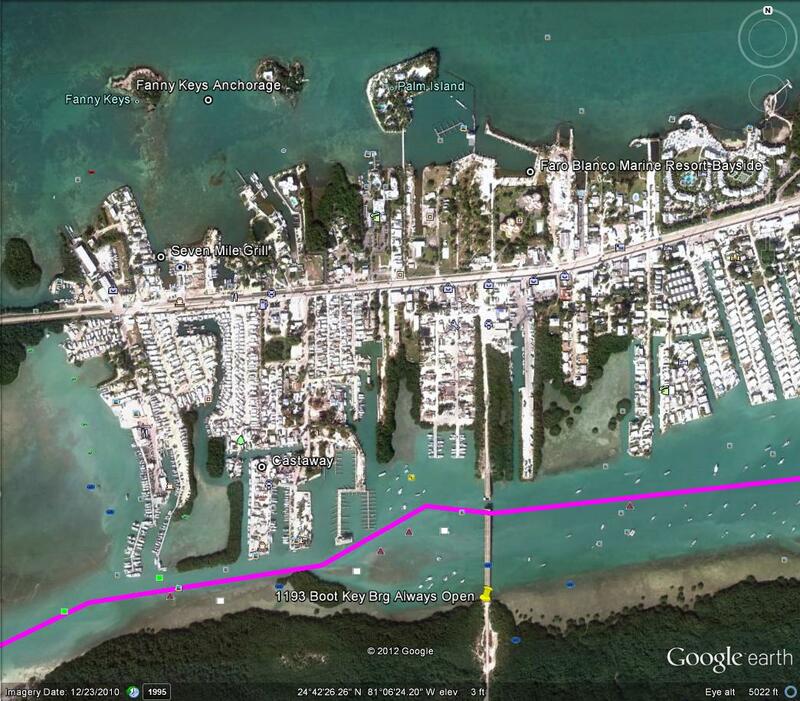 Have you ever wanted to know how far it is to the store and the dock master says "it is a few blocks that way". With GH you can measure it down to the foot how far that store is now! 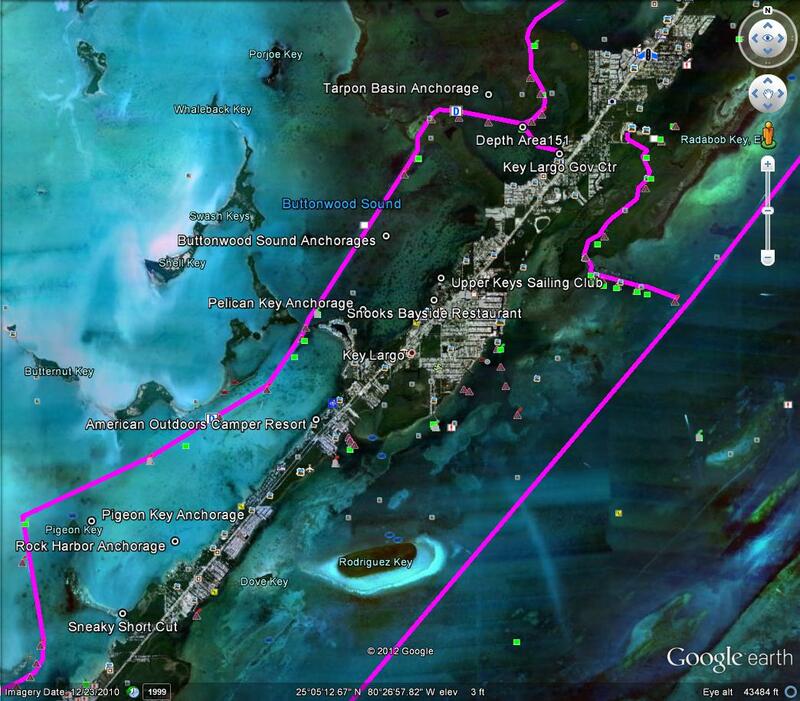 Here is a sample of some of the areas in Key Largo, Florida.